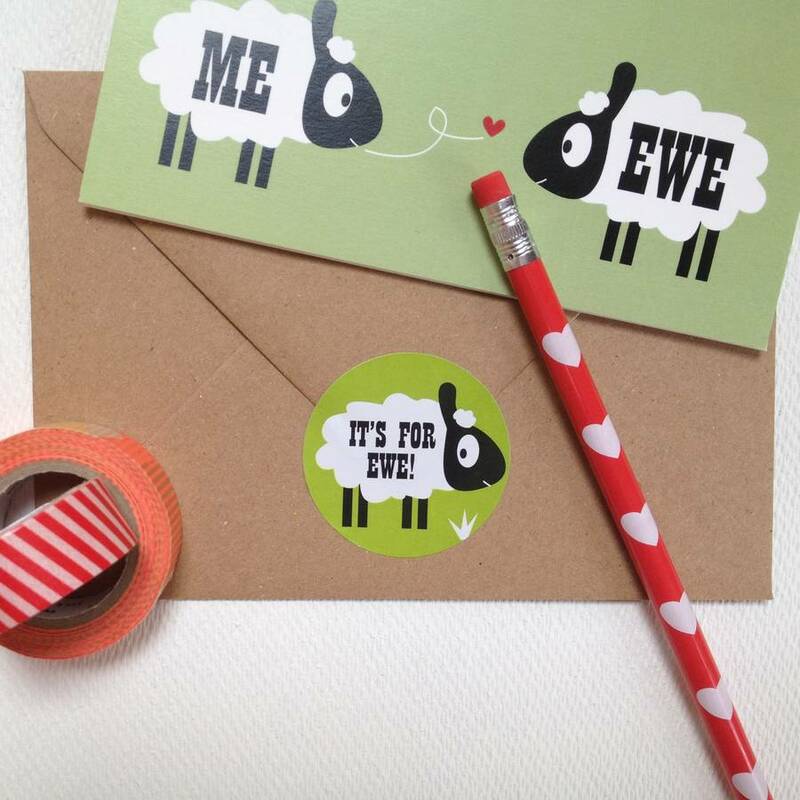 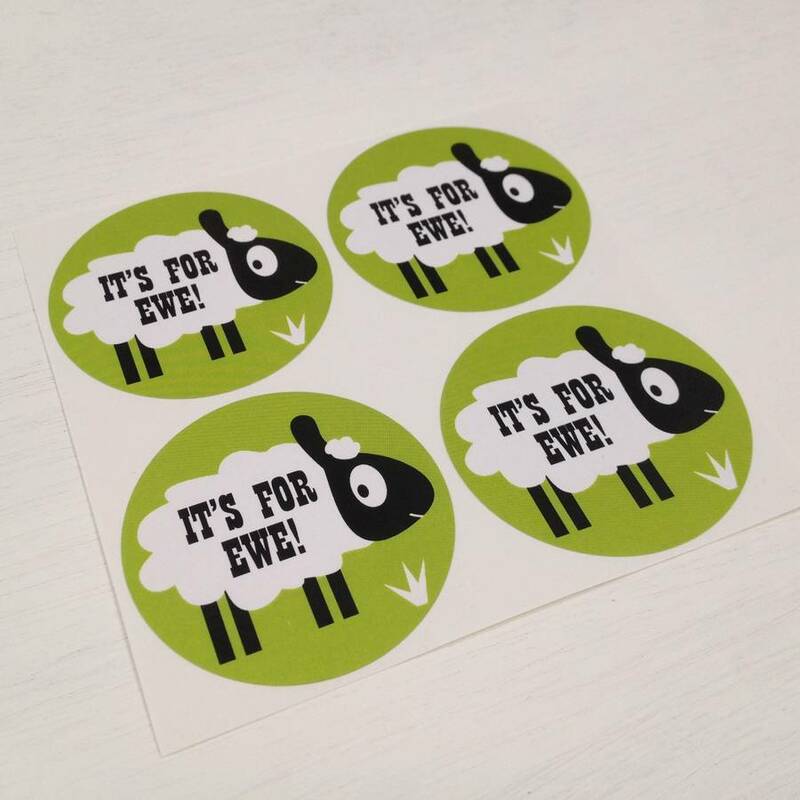 24 'It's For Ewe' stickers to add the perfect sheep-tastic touch to your Christmas gifts, party bags, tags, parcels, post and greetings cards! 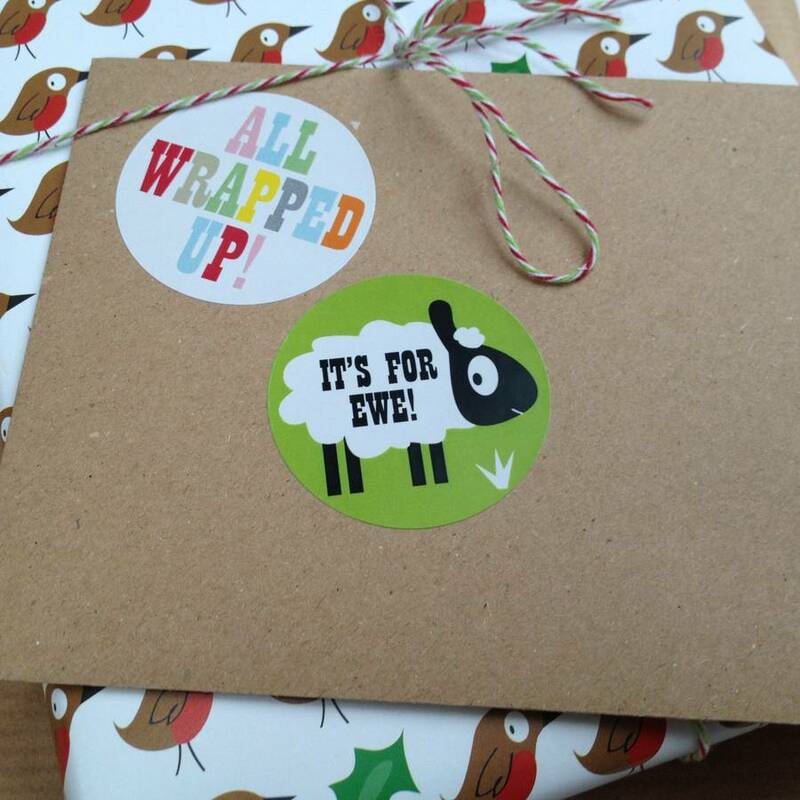 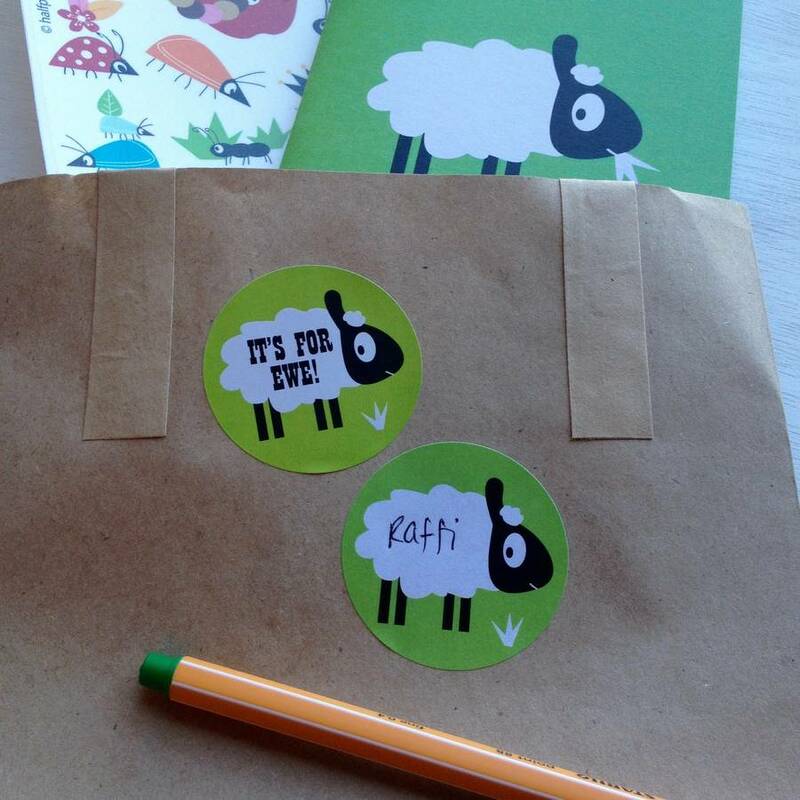 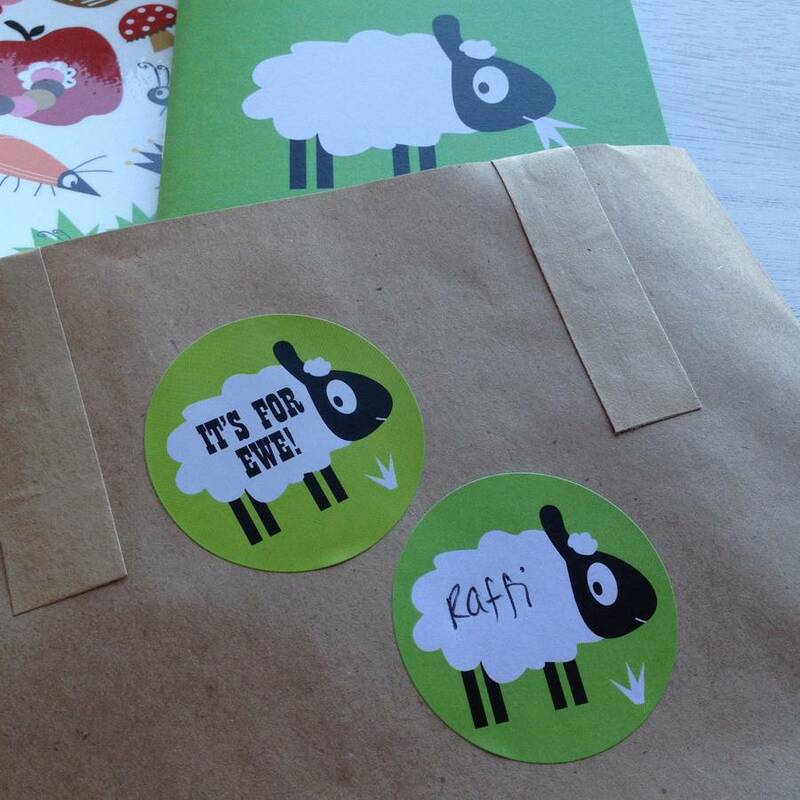 These sheep gift wrapping stickers are 45mm across and add a touch of sheepish humour to each gift you give. 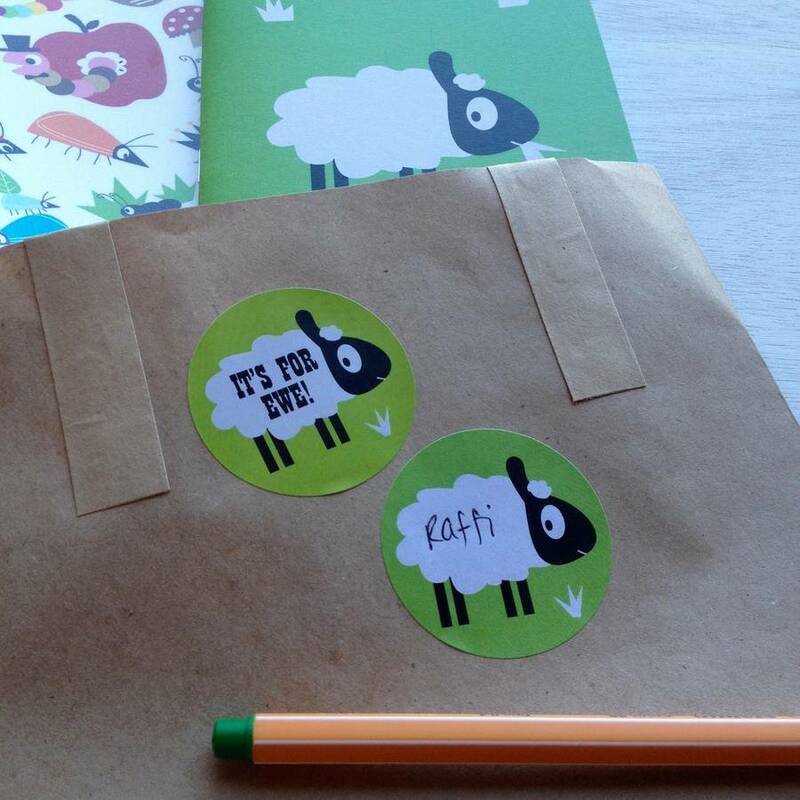 They also work really well for party bags, invites and on birthday gifts or little treats for the kids. 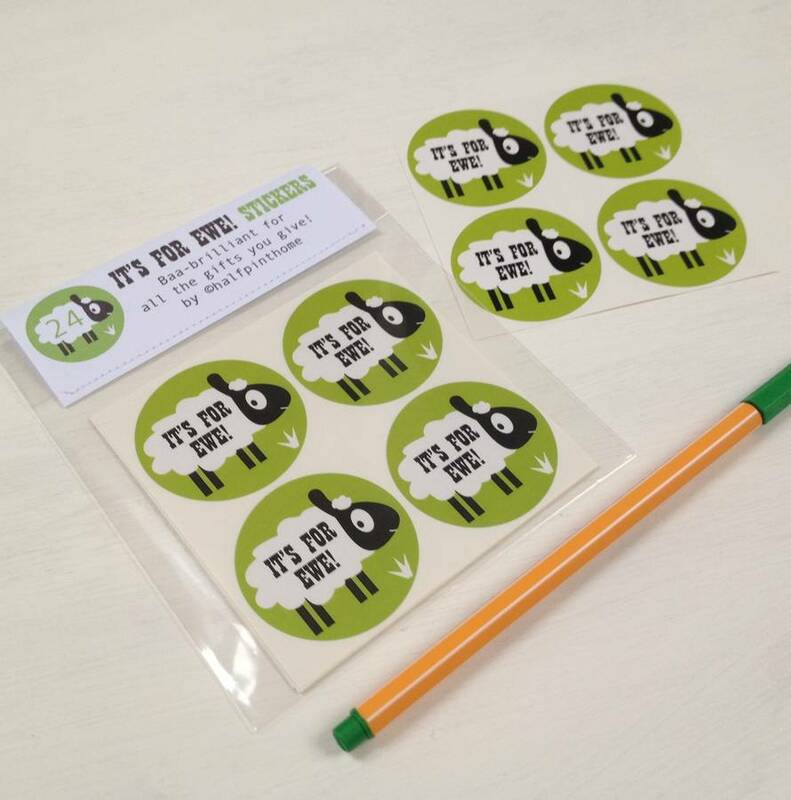 These stickers are packaged in a cello wrap and have a tab top header stitched shut with white cotton thread.